Did you read this post- this one here- If you didn't, go read it. And enter the giveaway. If you did, then you know I get really excited about anything with my name on it. That said, it's easy fathom how excited I was when I was given the opportunity to review a custom piece from Onecklace. 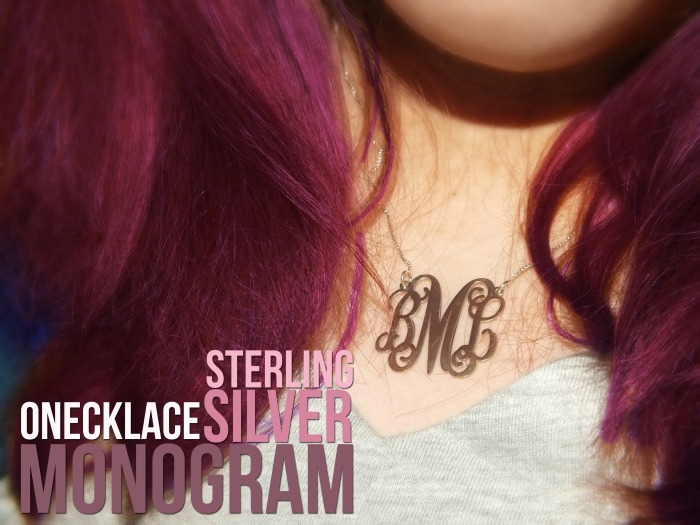 I opted for the Sterling Silver Curly Split Chain Monogram Necklace as I'm having a 'thing' with monograms. I won't mince words, I am absolutely thrilled with this necklace! It's gorgeous, is the perfect size, and is all mine. The pendant portion of the necklace measures approximately 1.3 inches around and sits nicely on the neck. It's lightwight and once on, is one of those necklaces you completely forget you're even wearing. 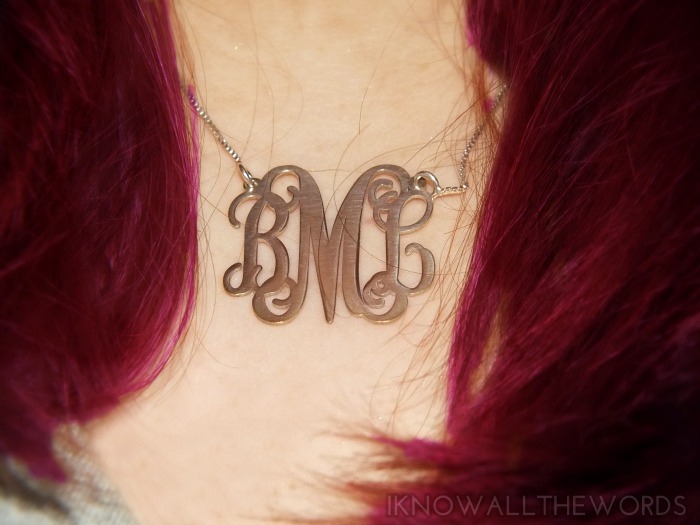 While I obviously have my own initials, any combination is possible as your necklace is made just for you. 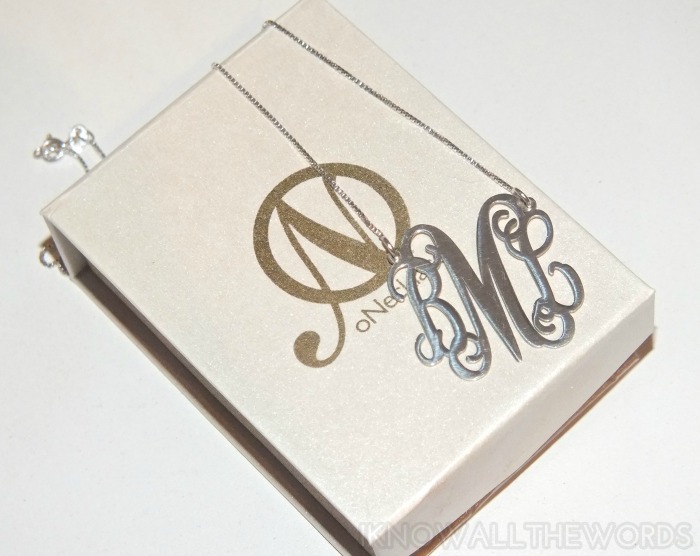 You're able to choose the length and style of the chain, the style of the monogram and can even go for gold if you're not a silver fan. Onecklace has recently redesigned their website, and with the the redesign they've also added a bunch of new styles. 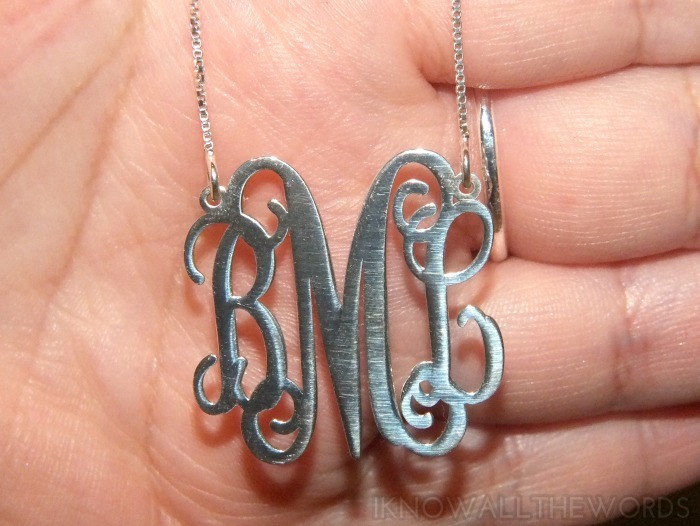 Of course, they also have the classic name necklace, which I'll be ordering for myself, as I've always wanted one. Overall, you really can't go wrong with Onecklace. I love mine, maybe a little bit more than I should, and have gotten quite a few compliments. Any of their styles makes a really thoughtful gift- perfect for upcoming graduates- or for yourself. Onecklace has provided the code GIFT for 10% off any order. Are you a monogram fan? Would you sport personalized jewelery?